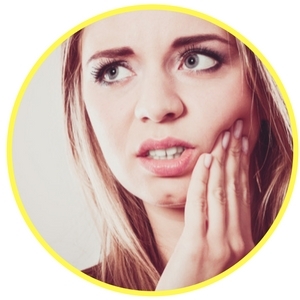 If you are experiencing any type of tooth pain, you know how horrible it can truly be. Dental pain can cause you to miss out on your kid’s soccer game or even work. Before you simply accept that you may have to live with dental pain longer than you’d like, take a moment to check out the list of emergency dentists in Anaheim today or call our free service and let one of our staff members find the perfect dentist to fit your emergency needs. What a wonderful service, Emergency Dentists USA helped me out when no one else could. And I thought I was going to have to live with debilitating tooth pain the entire holiday weekend. So thankful I didn’t have to! There are many emergency dentists in Anaheim, CA that work after hours and around the clock to make sure that you never have to go days or weeks with a dental condition that needs immediate attention. 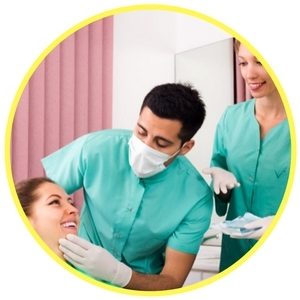 Anaheim 24-hour dental offices are perfect for those patients that need immediate care. You can call these offices and find yourself in a dental chair around the clock, no matter the day or time. In addition to 24-hour dentists, you will find that there are walk-in clinic options, and there are also after hour dentists that are open later for your convenience. If you have tooth pain, the last thing you want to do is sit in front of your computer and search for hours to find a dentist that can see you. We have made the entire process simple, you will be able to identify emergency dentists in Anaheim at a glance. All you need to do is look at the list below and find the office nearest you. Description If you are bringing your family here for the weekend, or are a permanent resident and something goes wrong, don’t hesitate to call our 24 hour hotline, and we’ll connect you right away to an after-hours professional. Description: This office proudly claims that they are the only emergency dental clinic in the state of California that is actually open until midnight, 7 days a week. Here you can receive help for a toothache, loose tooth, one that is broken or cracked, incoming wisdom teeth, a broken crown, bleeding gums, or broken dentures. Description: Open 365 days a year and answering phone calls 24 hours a day, this emergency dental clinic in Anaheim accepts 99% of insurance plans and is also fluent in Spanish. This city where Disneyland is located sees a lot of different throngs of people traveling in and out, and dental emergencies can absolutely take place during vacation times. From cracked teeth to a full-on abscess, the staff here specializes in getting the job done quickly, to get your California sightseeing back on track. 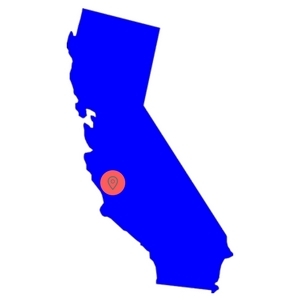 Description: Western Dental is a standout practice in a city that is always busy due to its close proximity to LA. They will make sure that you are attended to promptly, and are satisfied with your dental health. Description: This urgent care dental clinic in Anaheim has somewhat limited hours. However, they do serve your after-hours dentist needs until 6pm on Mondays and until 7pm on Thursdays. This gives you the little edge you need to get to the dentist after work! Description: All Brite Dental is a great Anaheim emergency dentist who can also help you on Saturdays with hours from 10am until 3pm. An upper-end and professional staff, caring office personnel and assistants, and all-around organic approach to dentistry are some of the highlights of this Anaheim practice that will be able to get your week back on track if you are struck down by sudden dental pain. When you head into an Anaheim emergency dentist office, you can expect the visit to be very similar to that of your own general dentist. Before you go into the office to receive treatment, it can be helpful to ask for a quote for your needed procedure and ask what types of payment methods are accepted. You should let the receptionist know if you have dental insurance and what type it is, as this will allow you to receive a proper quote based on your coverage. When you arrive at the dental office for your appointment you will need to fill out paperwork, which will ask you questions about your health and dental history. This will help the dentist determine how to best treat you and your condition. If you suffer from any type of allergies, you should let the dentist know. In addition, if you have dental anxiety, you should ask the dentist what sedation options are available. There are a number of common dental emergencies that occur and you may be suffering from one of them. Some of these emergencies will develop quickly and others may have a quick onset, but they have developed over a period of time. All dental emergencies need to be looked at and handled in a timely manner to prevent the spread of infection and to prevent issues with your other teeth. A crown can fall off for many different reasons and you may even experience some pain from the exposed tooth. If you do, you can rub clove oil over the tooth to help numb some of that pain. You should try to place the crown back over the top of your tooth, but do not force it. 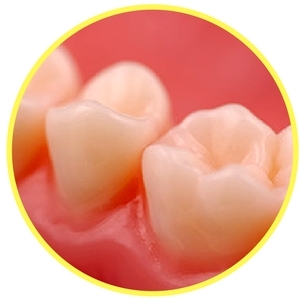 Should you have dental cement on hand, you can place it inside of the crown before you put it on the tooth. You can lose a filling at any time, but the most common reason to lose one is that you ate something sticky and it pulled it out. Or it could be that your tooth was damaged further by something and the filling become loose. Should you lose your filling, you should place a piece of sugar-free gum into the hole to help seal it up. You can also use a dental cement if you prefer. An abscess that forms in your mouth needs immediate attention, as it is an infection. 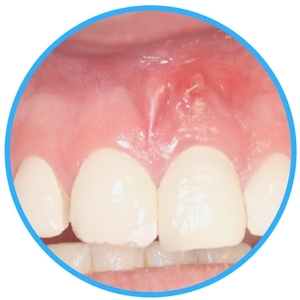 The abscess will typically appear as a pimple-like formation on your gums or in between your teeth and gums. They are painful and you should avoid touching them or trying to pop them on your own. Abscesses need to be handled quickly because they do pose a health risk and can spread infection throughout the body. Before you head to the dentist, you should swish warm salt water in your mouth and apply cold compresses to the exterior of your cheek as needed. Emergency tooth extractions are sometimes needed, especially if your tooth cannot be saved or the integrity of the tooth is completely lost. Most dentists will try what they can to save the tooth, but it is not always possible. Extractions are often recommended when fillings, crowns, and other restorative options will not work. It is important for you to know that not all dental problems will require a tooth extraction and sometimes the tooth can be saved. In these situations, other procedures will be suggested first. You should always receive the emergency dental care you need when you need to avoid complications. An emergency tooth extraction will only take about a day or two to heal and your emergency dentist in Anaheim will provide you with aftercare instructions. Dental pain signals that there is a problem and your first thought may be to head to the local emergency room to receive care. If you do go to the ER, you will find that they can only look over your mouth and prescribe you pain relievers until you can see your dentist. Emergency dentists are available around the clock and they have the tools and equipment needed to provide you with the dental procedure you need to be performed. Of course, there are times when you should go to the ER, dental problem or not. These times include when you sustain a head injury, have sustained any type of trauma, have fallen, or you have broken your jaw. If you think that you may have a dental emergency, but you are unable to get in touch with an Anaheim emergency dentist, please feel free to contact our service any time, night or day. Emergency Dentists USA is here to help you find a dentist near you, no matter what emergency you may face! Tooth pain can be excruciating or it may be mild in nature, but it should never be ignored. You need to receive care for your dental emergency whether it is a crack in your tooth, a broken jaw, or tooth decay. Delayed care can lead to serious complications in the future. If you are visiting a new dentist, emergency or not, we recommend that you always check the local Anaheim dental society to verify the dentist’s credentials and licenses. You should check out the Dental Board of California and the California Department of Consumer Affairs before you visit any new dental provider.